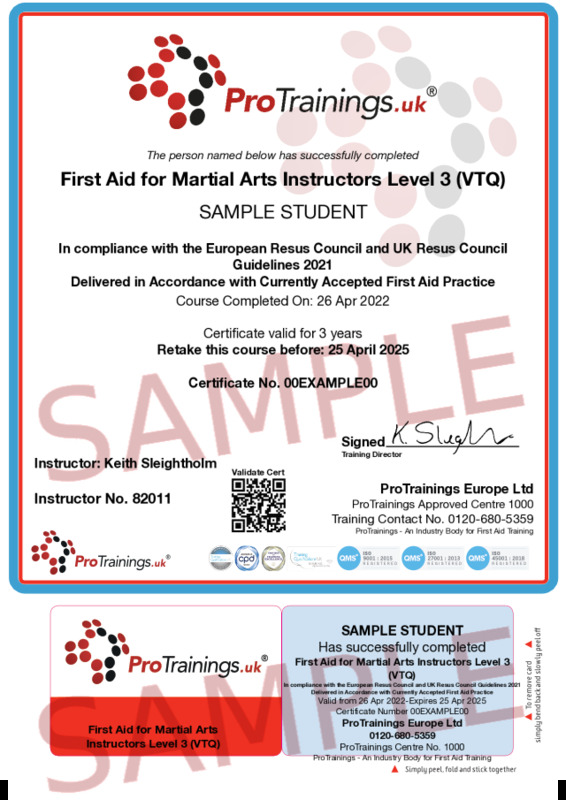 This course is specially designed to cater for the injuries that could occur with martial arts training and classes and includes paediatric first aid and AED use as well as many other additional subjects for Martial Arts Instructors. 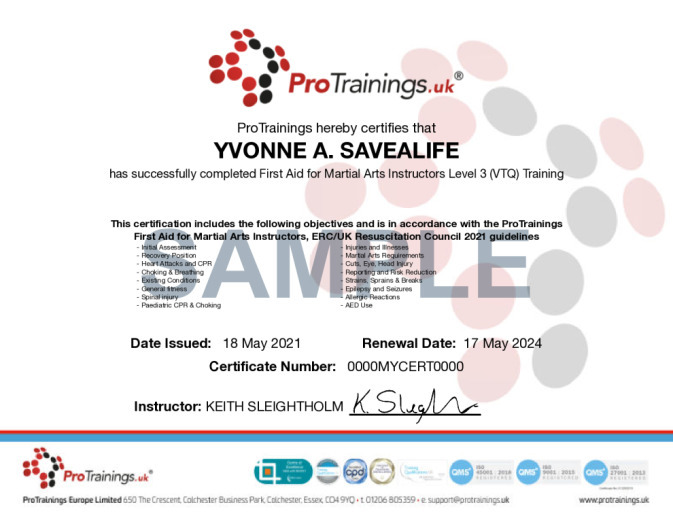 Covered in the courses are different subjects that would apply to any martial arts sector for instructors. We also offer a standard course for Martial Arts students. This course comes with 7.0 hours of CPD, although the time to complete the course online may be less than this. Total course time includes 3 hours and 26 minutes of video training as well as knowledge reviews, final test, remedial help and reviewing downloaded material.